We are a team of professionals who are responsible for building new economic environment around investments. We start in Russia with creating a universal stock trading platform. We develop the service for making investments and fill it with all the features the client need. Every day we work for the best product that could gain the popularity not only in Russia but everywhere. The leader of the project, CEO in Newton Broker, works on the strategy of the group and investor relations. 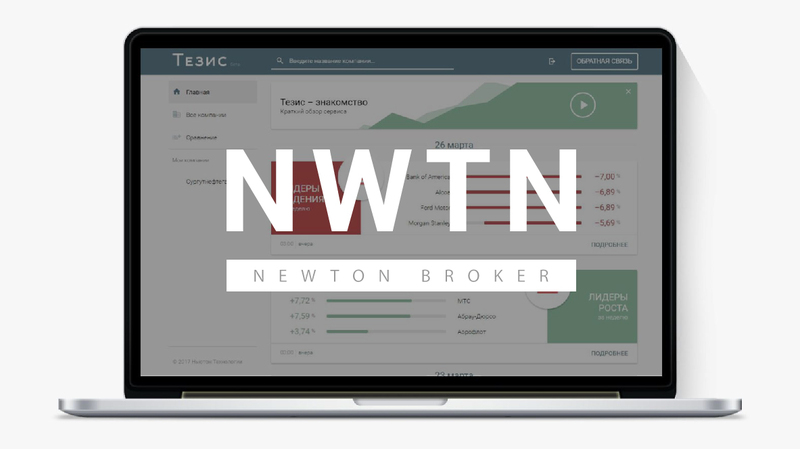 Used to work on the stock market for 10 years before NWTN was launched, has huge experience working with top clients and investors in Russia, India and China. Education — Mathematical methods in Economics. Head of development, leads machine learning and big data analysis, worked in key positions and was responsible for the development stages in MailRU and Facebook. Education — Applied Mathematics and Informatics. Chief Technical Officer, responsible for trading infrastructure. Used to work in a successful IT startup, HFT fund as an infrastructure engineer, worked as head of support and development of DMA-systems in Otkritie Capital. Education — Radiophysics Specialty Information Technologies and Telecommunications. "Active Portfolio" on the Moscow Stock Exchange. The Bachelor Degree in Economics.